Hey everyone! 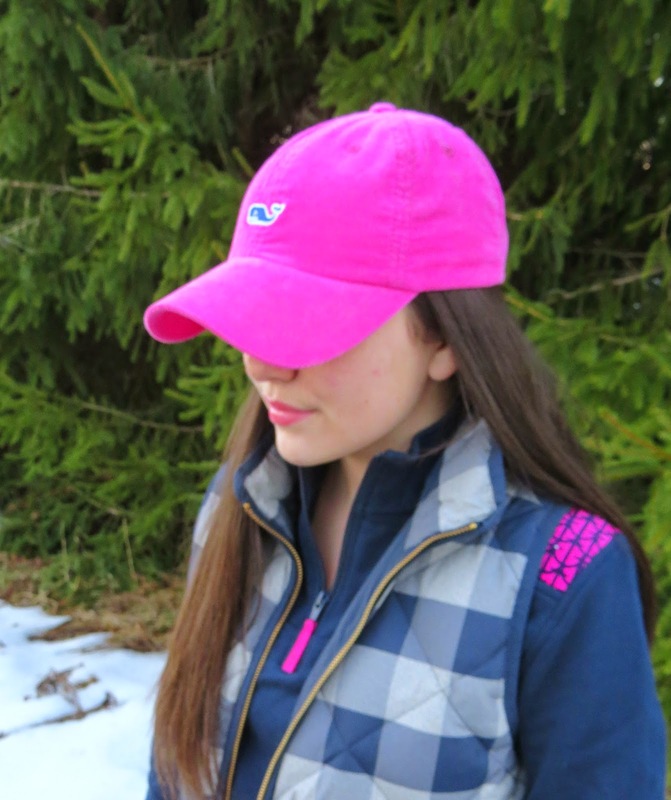 For today's post I'm wearing a super casual outfit full of navy and pink! 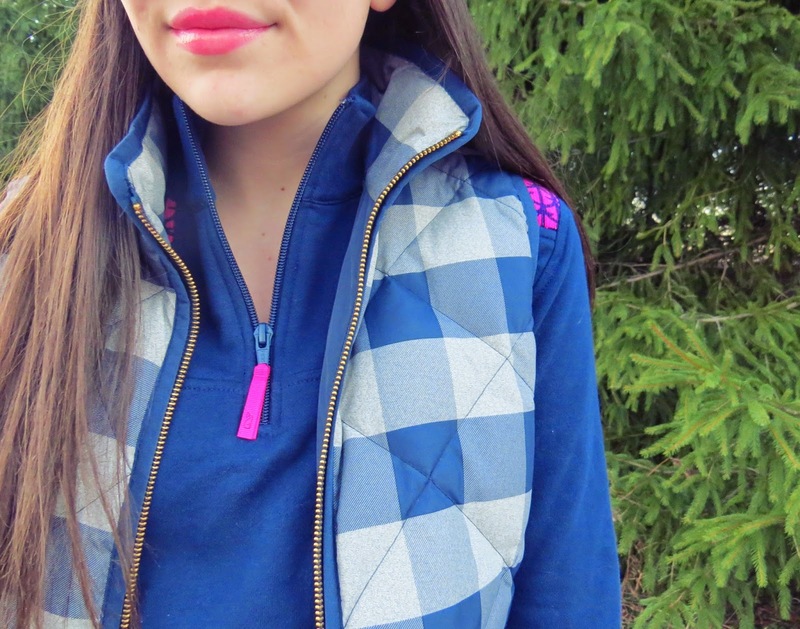 I love the patterns of my anchor shep shirt mixed with the gingham on my puffer vest. 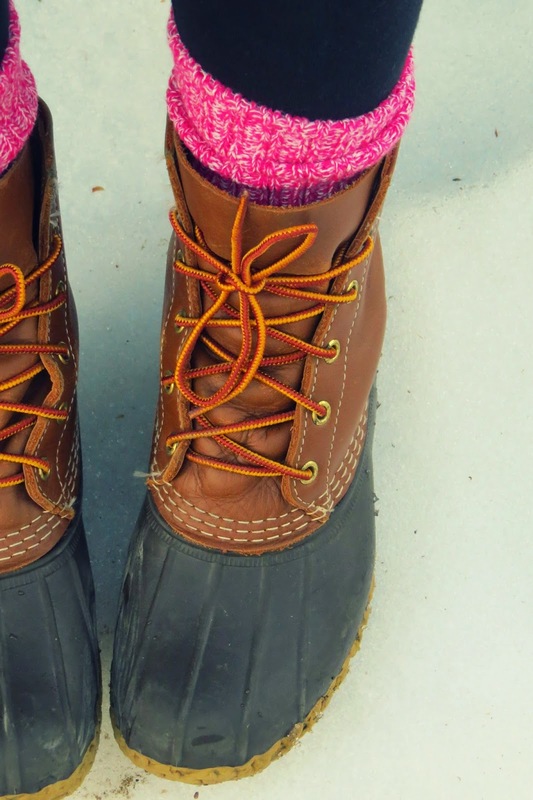 I LOVE these adorable pink camp socks from Old Navy with my bean boots, the perfect combo for winter! I'm collaborating with @asunnystateofmind who also styled pink and navy, check out her post on instagram! LOVE your vest and your socks! Those pink camp socks are such a fun touch :) Great look! My favorite color combinations! 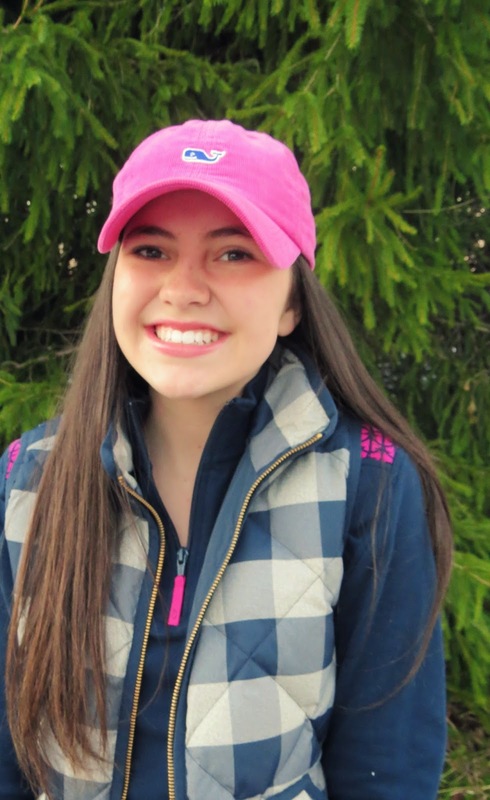 Love how your styled it! Ahh gorgeous outfit, the pink and blue combo is perfection! 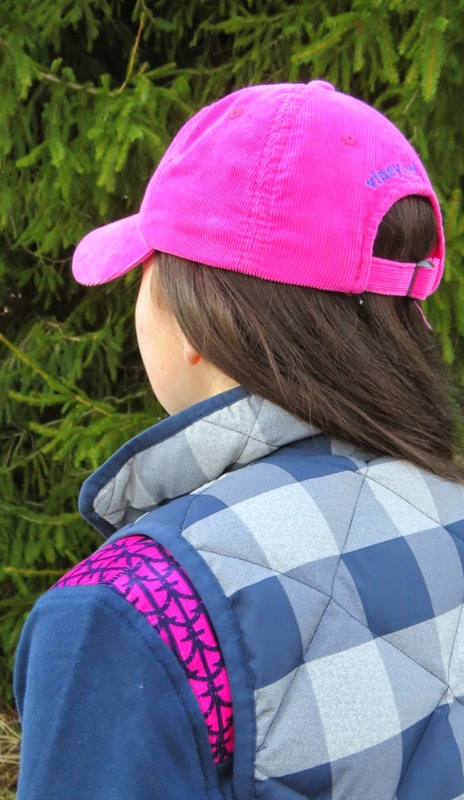 Love your vest and the hat. 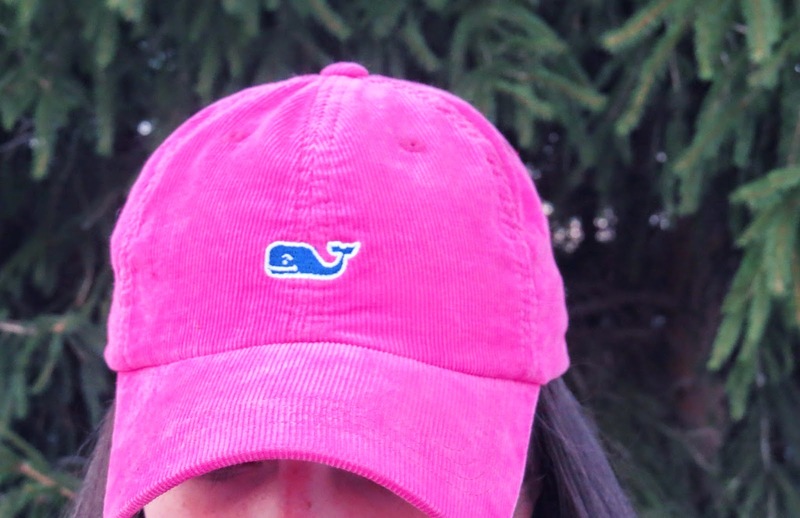 Love, love navy & pink! 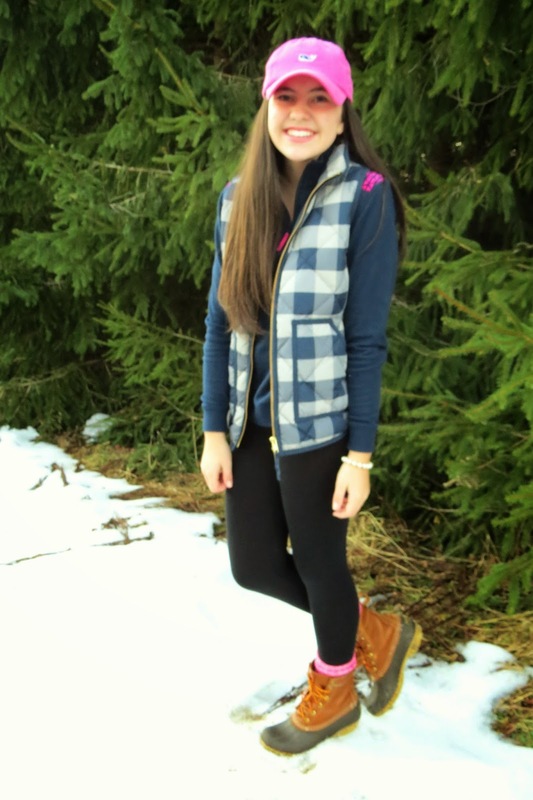 A Very Hunter Holiday + a Hunter boot giveaway! 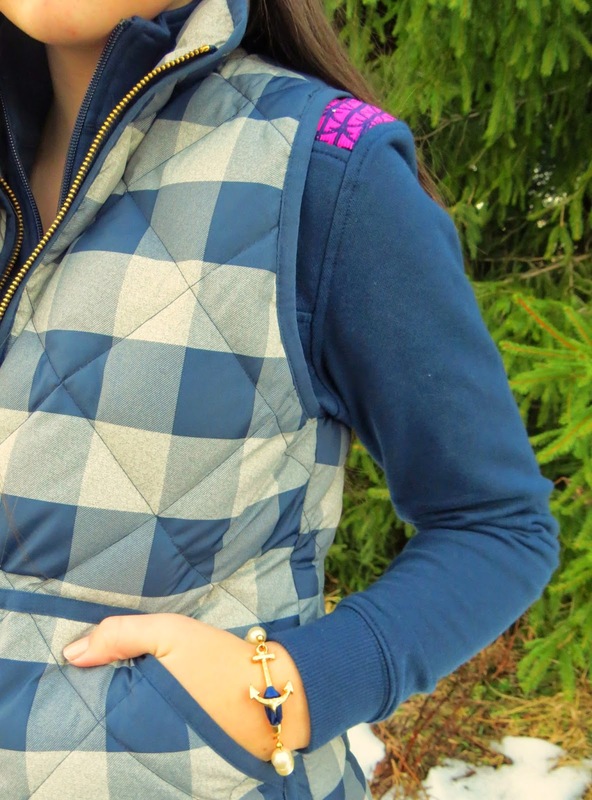 Lisi Lerch Loving + giveaway! Wrapped in A Thing Created.